Wei Huang had only passed away the previous week when Tesla publicly shared details about his final moments in a Model X. An engineer for Apple, Huang was driving on a California highway while using the car’s experimental Autopilot technology when he crashed into a concrete barrier in late March. He later died at the hospital. One week later, Tesla offered condolences in a blog post before explaining where Huang went wrong. According to Tesla, the driver’s hands were not detected on the wheel for six seconds prior to his fatal crash. What’s more, Tesla’s data logs apparently knew that Huang had an unobstructed view of the concrete barrier for 150 meters and five seconds, “but the vehicle logs show that no action was taken,” Tesla wrote. Federal regulators investigating the crash were reportedly unhappy with Tesla for publicizing details so soon after the crash and kicked the company off the investigation. In a post on Twitter, Elon Musk said that public safety was too important to abide by the government’s rules. The seemingly all-knowing capabilities of Tesla’s data logs, as well as the public assurances about transparency and public safety delivered straight from Musk himself, have given some Tesla drivers the expectation that data from their own wrecked cars would be handed over immediately and free-of-charge upon request. But other Tesla drivers involved in car crashes say that Tesla has not been so generous in providing data upon request, particularly when they are at odds with the company over whether driver error or defective technology caused a crash, as Consumer Affairs reported earlier this year. One complaint that a driver sent to federal regulators in January claimed that they were told by Tesla to get a subpoena if they wanted access to their own data. An email that another driver received from a top engineer at Tesla and recently forwarded to ConsumerAffairs now appears to confirm that requiring subpoenas is an established practice for dealing with drivers who want data from their own cars. “ …we are happy to provide applicable data upon receipt of a subpoena as per our standard policy,” says an email signed on April 28 by Matthew Schwall, who was the company’s Director of Field Performance Engineering before moving to Waymo, another self-driving company, several weeks later. It’s a message that didn't sit well with Raj Parikh, a New Jersey driver who wanted access to his data. Parikh, also an engineer, planned to eventually buy a Tesla after leasing his Model S for two years. 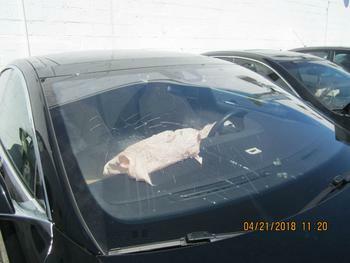 But a bizarre parking lot car crash on April 20 left him doubting the company’s commitment to improving its technology. Parikh described Schwall, the top Tesla engineer he dealt with, as respectful and professional in their interactions over the phone and in emails, even though he didn’t agree with Schwall’s final conclusions about the cause of his accident or his interpretation of the data that Parikh could not directly see. To Parikh, the request for a subpoena sounded like he would need to get a lawyer, an exercise that seemed pointless in dealing with a company as well-funded and popular as Tesla. "I don't have time or money to waste subpoenaing a company of that size,” Parikh tells ConsumerAffairs. When asked why Tesla has an apparent policy requiring drivers who want their own data to file for a subpoena, a spokesperson framed it as a privacy issue. The spokesman also said that consumers can directly access Event Record Data, or data that provides information “when a vehicle has been involved in a crash or crash-like event.” But accessing that service requires a $995 payment to a third-party vendor called Crash Data Group, which makes no promises about whether its kits do in fact capture the “events” in question. “This kit contains all the hardware required to download the Event Data Recorder (EDR) data that may be stored in Tesla Model 3, Model S and Model X vehicles,” the company’s promotional material says. By contrast, Tesla engineers have given consumers like Parikh the impression that they already have extensive data, not just about the crash itself but about the actions that drivers took leading up to the crash. The company’s policy, it appears, is to describe the data to consumers who want it in place of showing them the data directly. “If a customer is involved in an incident and asks to understand what the data shows, we provide the customer with a description of the data,” the Tesla spokesperson explains in an email. Parikh tells ConsumerAffairs that he was out running errands on April 20. He describes rolling into a space on the second level of a parking garage when his car suddenly shot forward and hit a parked car. Parikh says he slammed his right foot on the brake, but the Tesla would not stop. He then placed both feet on the brake, which he says finally forced the vehicle to stop -- but not before he hit a second parked car. No one was hurt, but the crash was bad enough that the airbags deployed and cracked the windows. “I literally pushed the brakes with my two feet as hard as I could,” to make the car stop, Parikh says. Parikh’s account of sudden unintended acceleration, at just the moment he was trying to pull into a parking spot, is similar to what three other drivers described in complaints they sent to the National Highway Traffic Safety Administration (NHTSA) in January 2018. In those cases, the drivers also said that Tesla vehicles spontaneously took off as they were about to park. Afterward, the drivers said they were told by Tesla that they had mistakenly floored the accelerator pedal. “When I asked for more details about the approach to the parking space, for a copy of the report, they said they would not provide it without a subpoena,” one of the consumers told NHTSA in January. Since then, seven other complaints have been filed to NHTSA this year. Each one describes Tesla cars that spontaneously accelerated as the driver was pulling into a parking spot, a review of NHTSA’s database shows. Tesla, like the numerous other car companies hit with sudden acceleration complaints, has maintained that pedal misapplication is the problem. Some engineers who study the issue say that unintended acceleration is a real and underreported phenomenon in cars, but federal regulators have generally sided with the automotive industry in blaming drivers. Parikh, 72, is the CEO and chairman of a green engineering firm based in the New York City area. In Paramus, New Jersey, he is occasionally featured in the local news for The Zenesis House, a model home he and his firm created that uses solar energy to melt snow. In other words, Parikh, though perhaps older than the average Tesla driver, believes he is too alert and familiar with how a car works to make a error so obvious as to mistake the gas pedal for a brake pedal. In an interview, Parikh said he had hoped that Tesla would work with him to fix the technical problem. “Use me to help you [repair] those glitches. Don't just neglect me or tell me to go hire a lawyer,” he says. After the traumatic crash, Parikh and his family were eager to follow up with Tesla about what happened. 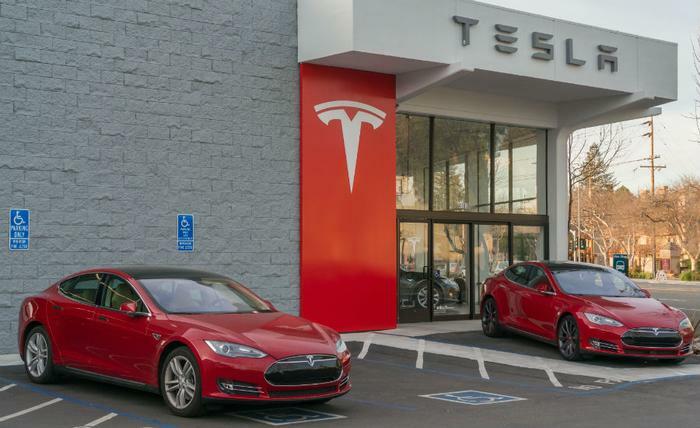 In phone conversations, Tesla representatives repeatedly referenced the data, explaining it showed that Parikh mistakenly pressed the gas pedal. Unconvinced, Parikh asked to see a copy of the data logs himself and to speak with a higher-level engineer in the company. That’s how he eventually secured a phone call with Schwall, the Tesla engineer who was the company’s director of field performance until several weeks ago. On April 25, Schwall followed up on the calls with an email to Parikh. “As discussed, based on our review, we determined that the vehicle operated without fault with respect to the accident and that the accelerator pedal was manually pressed by the driver immediately prior to the accident,” the Tesla engineer reiterated. Immediately before the crash, “the accelerator pedal increased from 0% to 100%,” Tesla claimed the data showed. For viewing the data directly, Schwall recommended that Parikh use the $995 service provided by Crash Data Group. He said the data would potentially show the final five seconds leading up to the crash. Parikh countered that he wanted data from the last sixty seconds before the crash occurred. He asked that it be provided to him in a format displaying time against acceleration pressure and brake pressure. He also asked for a general description of how the brake system worked and how Autopilot could affect it, which Schwall provided. But the data from Parikh’s own car would not be made available without a subpoena, Tesla said. “My letter includes all the relevant data points and summarizes the information relative to the accident so that you know what the data shows,” Schwall added. Parikh and his son, who also spoke with Schwall, were unconvinced and frustrated with that response. Like similar complaints from other consumers, they do not believe that Tesla’s description of data logs is an adequate replacement for the raw information. The way Elon Musk and his company spins it, Tesla collects data on its cars and the people who drive them at a level that is unprecedented in volume and sophistication. The company's detailed computers and cameras -- which one executive said collect a million miles worth of data every 10 hours -- help the company improve Autopilot and its other experimental technology, as Tesla has repeatedly claimed. But drivers who have dared complain about their stylish electric cars via lawsuits, online Tesla fan clubs, the news media, or other public forums have discovered that Tesla’s data logs serve a second purpose, one that is less appealing from a consumer perspective: helping Tesla defend its own technology against outside criticism. That includes people like Jared Overton, a Model S owner in Utah who claimed in an interview with a local news station that his car turned on all by itself and slammed into a trailer when he was not even inside the vehicle. Tesla said its data showed that Overton had activated the car’s “Summon” feature, and that it even knew exactly how he did so -- “by a double-press of the gear selector stalk button” according to Tesla’s version of events. “The vehicle's behavior was the result of the driver's own actions,” says a letter signed by a Tesla regional service manager and provided to tech reporting site The Verge several years back. Albert Scaglione, an art dealer who told police in 2016 that his Model X was in Autopilot mode shortly before he crashed into a guardrail in Pennsylvania, had not actually engaged Autopilot mode, according to a conflicting account delivered personally by Elon Musk via Twitter. Musk’s version of events then went a step further. “Moreover, [the] crash would not have occurred if it was on,” Musk asserted. Puzant Ozbog, another driver who claimed his Tesla spontaeneously accelerated while parking, “was traveling at 6 mph when the accelerator pedal was abruptly increased to 100%,” Tesla told the site Electrek, explaining that its data logs showed that the driver mistakenly pressed the Model X’s gas pedal. In the past, the data and information that Tesla has shared publicly has occasionally gone outside the vehicle, instead revealing information about the drivers themselves. In 2016, Pete Cordaro was in a rural area in Pennsylvania, on a trip to pick mushrooms with his wife, when he hit a pothole and heard a snap. He stepped outside and, to his surprise, saw the driver’s side wheel of his Model S had completely fallen off. Tesla initially stuck Cordaro with the bill. When he complained, Tesla agreed to cover half the cost -- on the condition that he sign a non-disclosure agreement. Cordaro, using his real name, consulted other people in an online Tesla forum for advice, and reporters began calling him not long after. Tesla eventually responded to the negative publicity that year by agreeing to shelve its non-disclosure agreements. But Tesla also took time to publish a blog post characterizing Cordaro as someone who did not take care of his Model S.
"The suspension ball joint experienced very abnormal rust,” Tesla said of his car, adding that Cordaro “lives down such a long dirt road that it required two tow trucks to retrieve the car.” The car, Tesla also added, was “caked in dirt." With the experience now in the rearview mirror, Cordaro can laugh about Tesla’s response and says he still likes Tesla cars and receives good service when he takes his in. Still, he only remembers seeing one tow truck retrieve his car that fateful day, not two. What’s more, he does not live on a dirt road. The mushroom hunting expedition was a rare off-road adventure for his Model S, he says. "Customers can also access EDR (event data recorder) data from their Tesla Model S, Model X, and Model 3 vehicle provided they have physical access to the inside of the vehicle. Generally, this data provides specific vehicle information when a vehicle has been involved in a crash or crash-like event: https://edr.tesla.com/. "Furthermore, if a customer is involved in an incident and asks to understand what the data shows, we provide the customer with a description of the data."